You work hard but your feet shouldn’t. Instead, why not reward your feet with one of the most comfortable shoes for working women? Regardless of your profession; whether you’re a teacher, nurse, cook or retail professional; you need comfortable womens work shoes with proper cushioning and support to keep you going through your day. With Dansko Emma, you get all-day comfort while adding style to your look. 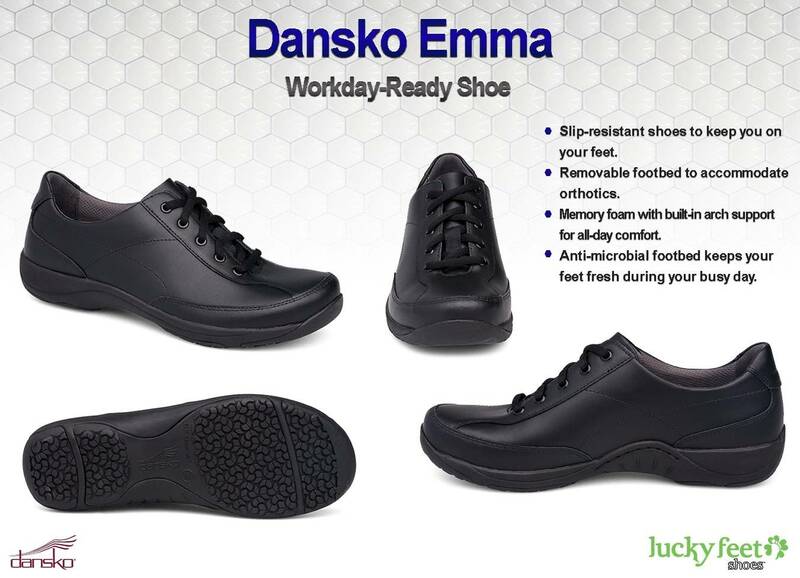 Dansko just introduced the Emma, a work-ready shoe with long-lasting comfort in every step. 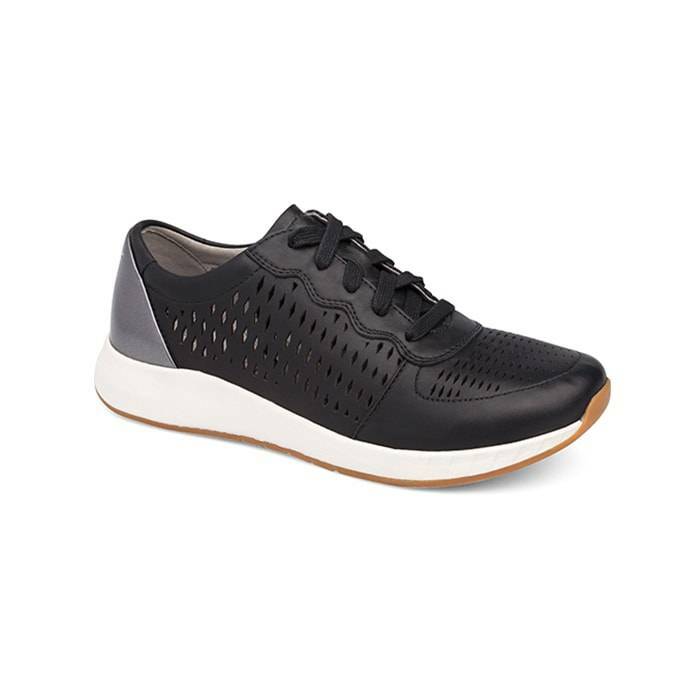 This women’s shoe is a perfect lace-up work shoe with supportive construction, cushioned footbed, and slip-resistant outsole. This is perfect work shoe; if you’re a teacher who spends most of your day walking on carpet, a nurse who spends your shifts walking on hard surfaces or a restaurant worker occasionally walking on wet surfaces. You’ll benefit with every step. Have you had those days in which your feet felt so tired and all you wanted to do is wiggle your toes to make sure there’s still life in them? If your narrow shoes prevented you from doing this, let me tell you that Emma offers a roomy toe box for extra wiggle room. It is wide enough to give your toes extra space and prevents them from jamming against the shoe. In addition, if you have bunions, Emma’s toe box is spacious enough to accommodate mild to moderate bunions. For additional comfort, Emma’s footbed is made with memory foam and is contoured for incredible arch support. Have you ever felt a shoe mold around your foot, offering you a customized fit? As you take your first steps, you’ll experience a soft cushioned step that continues from surface to surface. Although the shoe offers great support; some of you may require additional support from custom orthotics. Emma’s insole can easily be removed to accommodate most custom and over-the-counter orthotics. While comfort and support are ideal, let’s not forget about slip resistance. 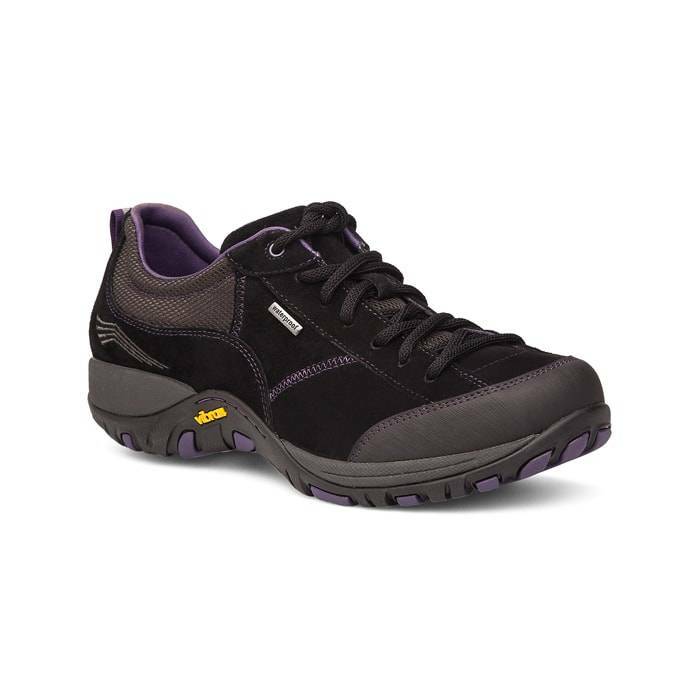 Slip-resistant shoes are a must as they keep you safe on your feet. Thanks to their rubber outsoles, they help increase traction and stability on most surfaces. This work shoe provides you with reliable slip resistance when you need it most; so that you can focus on your job knowing you are safe from most slippery surfaces. If you live in Southern California and considering purchasing Emma or any other work shoe, we invite you to visit any of our Lucky Feet Shoes stores. We have shoe stores in Orange County, Los Angeles County, San Bernardino County, and Riverside County. Click here and schedule a free foot analysis and let us help you find comfortable work shoes for you. Come into any one of our stores, located in Anaheim Hills, Rancho Cucamonga, Riverside, San Dimas, Temecula, La Quinta and Palm Desert! Visit us today and try on a pair of Comfortable Work Shoes! At Lucky Feet Shoes, we carry many buy Comfortable Women’s Work Shoes: clogs, sneakers, walking shoes, running shoes, and work boots. If you are looking for Comfortable Women’s Work Shoes in Orange County, the Inland Empire, Los Angeles County, Temecula or Riverside; we have seven stores to serve you! Come and visit us today! If you are looking for Comfortable Womens Work Shoes in Anaheim, Anaheim Hills, Yorba Linda, Brea, Orange, Placentia, Costa Mesa, Santa Ana, Fullerton, Irvine, Villa Park or Tustin; visit our store in Anaheim Hills. If you are looking for Comfortable Womens Work Shoes in San Dimas, Glendora, Pomona, Covina, West Covina, La Verne, Azusa, Diamond Bar or Claremont; visit our store in San Dimas. If you are looking for Comfortable Womens Work Shoes in Rancho Cucamonga, Ontario, Upland, Fontana, Rialto, Chino, Chino Hills, Mira Loma, Eastvale, Colton or San Bernardino; visit our store in Rancho Cucamonga. If you are looking for Comfortable Womens Work Shoes in Riverside, Moreno Valley, Corona, Rubidoux, Loma Linda, Grand Terrace, Redlands or Norco; visit our store in Riverside. If you are looking for Comfortable Womens Work Shoes in the Temecula Valley, Murrieta, Fallbrook, Lake Elsinore, Wildomar, Hemet, San Jacinto, Pala, Sun City, Menifee, Canyon Lake, Perris, Bonsall or Anza; visit our store in Temecula. If you are looking for Comfortable Womens Work Shoes in Indio, Coachella, Thermal, Vista Santa Rosa, Valerie; visit our store in La Quinta. 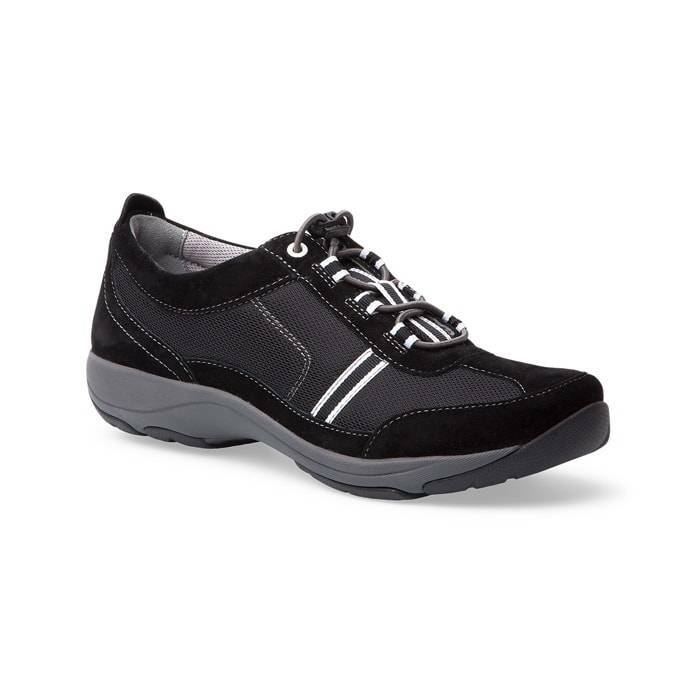 If you are looking for Comfortable Womens Work Shoes in Cathedral City, Thousand Palms, Palm Desert, Palm Springs, Desert Springs, Rancho Mirage or Bermuda Dunes; visit our store in Palm Desert.